Thank you to Tim at Simple2web for his professionalism and timely help in making sometimes small, to more extensive, updates to the Old Abe Booster Club web page. Give him an idea and he can run with it! Suggestions he has offered have always been greatly appreciated. 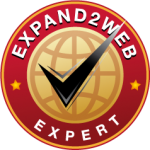 We highly recommend Simple2Web!